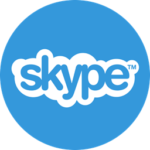 If you would like to take English lessons directly (without using a 3rd party service) then lessons via Skype may be the ideal choice for you. Book lessons at a convenient time for you. Lessons specifically tailored to your needs . Lower price than a 3rd party service (and even lower prices when you block book). I am a (native) English speaker living in Nottingham (U.K) I have 3.5 years experience teaching adults & children (online and classroom) & am TEFL certified. I have experience teaching beginners, intermediate and advanced English students so I can help at any skill level. Each lesson is tailored specifically to each student so let me know your goals when messaging and we can find the best path for you. As well as teaching, I am studying Mandarin (HSK1) & Japanese for personal enjoyment. Studying other languages also helps me understand the mindset of a student. Simple chat and gain experience speaking in English with a native. This is ideal if you just want to practice speaking. An English lesson tailored just for you! Exercises, homework and all spoken in English. If you would like to book a lesson or find out more then you can get in contact via the form below. All messages will be responded to as quickly as possible (within 24-48 hours).